Best Health includes physical, mental, and spiritual health. 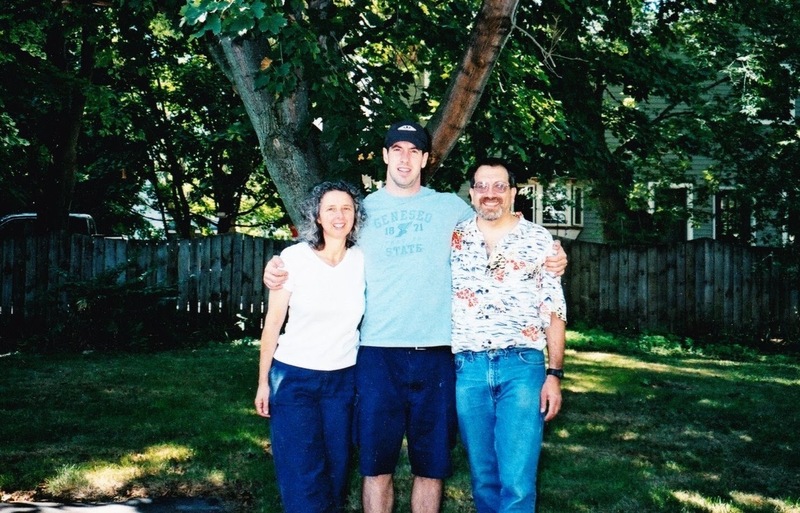 Michael Funk, my son, died at age 26 on November 18, 2002, of metastatic melanoma. Mike found his best spiritual health in the last year of his life as he died. As Mike said, I wasn’t born with a tattoo telling me how long I had to live. This first episode of Health Hats, the Podcast, celebrates Mike’s journey through a montage of an interview with Mike several months before he died, a conversation with Bob Doherty who conducted that interview, and stories about my experiences with Mike. Listen as we try to make sense of this reality. Thank you Danny. Thank you for sharing this and being such a bright example of how to do this living well thing. Beautiful! How wonderful that you had each other! Thanks for sharing the story, I love you, Danny! Not so good on birthdays and holidays. There is always an undercurrent of sadness even during joyful times. No, we haven’t met, but we very well may one day. I am active in the Maryland legislature trying, along with others, to get a Patients’ Bill of Rights law passed. Activism to prevent future harm to others is something we can do when we cannot undue our personal tradgedy. If we are both attending the same conference one day, I’ll be sure to seek you out and say hello. We also lost our son to melanoma at age 28 in 2014. Please accept my sincere condolences for your loss. I am comforted to know that you were able to encourage and offer support to Mike up until the very end. In our case, no one informed our son he was terminal up until the day he died. I often wonder if he knew and was afraid to say anything because our doctor hadn’t mentioned that dying was a possibility. Our son was taking immunotherapy when it was still in its infancy. It was touted in the press as the new miracle drug for melanoma, and it came with such high hopes. The privledge to have provided our son with reassurance and love in his last months and weeks was denied. I will take the sorrow of that lost opportunity to my grave. Thanks for the note. I ‘be been reading your blog, ExaminetheExaminer. Good work. Have we met? How are doing on birthdays and anniversaries? I forgot #15 anniversary of death and freaked out the next day. It’s so bittersweet. Best to you and yours.